Srirangapatna is a small town in Mandya District of Karnataka, India. The distance from Mandya to Srirangapatna is about 25 km, the town is nearer to Mysore City and the distance is 15 km. The town is an egg shaped island formed by the River Kaveri branching before the town (on the east side river Kaveri flows and on the west the Paschimavahini flows) and again joining together after the town. The Srirangapatna Town got its name from the famous Ranganathaswamy temple which is the most important landmark of this town. Srirangapatna is one of the most revered religious centers for the Vaishnavites. Since a very long times onwards this town is a pilgrimage urban center. The town has historical importance. This was a major center of the Vijayanagar Empire and the capital of Hyderali and Tipu. Srirangapatna is a tourist paradise with places to visit for all tastes of people. They include the Sri Ranganathaswamy Temple, Mahadevapura, Kere Thonnur, Pandavpura, Ranganathittu, Billigiri Rangana Betta hills, Captain Bailey's Dungeon, Dariya Daulat Bagh, Jumma Masjid, The Obelisk, Gumbaz, Sangam, The Dodda Ghosai Ghat, Balmuri falls, Srirangapatna fort, also called as Tipu's palace, Karighatta Temple, Nimishambhaswamy Temple. During the British regime the town was pronounced as Seringapatam. The holy river Kaveri is an important part of the history, culture and lifeline of the town. By splitting before and joining after some distance the river has made this island town. The river has 3 such islands during its course of flow before joining the Bay of Bengal. The 1st island is Srirangapatna, the 2nd one is at Shivanasamudra also in Karnataka in Mandya District and the third is in Tamilnad at Srirangam, Trichy. 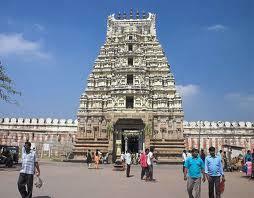 All the three islands formed by the Kaveri are having famous temples of Sri Ranganathaswamy. These temples are known as the aadiranga, madhyaranga and antyaranga. There is a belief among the devotees that by having darshans in all these three temples in the order of 1st to 3rd is supposed to be extra auspicious. The Paschima vaahini branch of the Kaveri is considered more sacred and people from far and wild come here to immerse the ashes of the deceased relatives and perform obsequiousness. It is said that Bhagavan Budha has visited Srirangapatna. As per the recorded part of the history about the Srirangapatna town, the knowledge dates back to the 9th Century. It is believed that a fort was built at Srirangapatna by a feudal lord in 1537 with a two layer of walls with 4 entrances. Much is not known before and after till the Vijayanagar Empire captured the town and made a part of the empire. From that time the town came into prominence. The town was an important viceroyalty of the Vijayanagara kings to oversee the nearby states captured by them from Mysore, Talakkad etc. It was a The rise of Wodeyar kings of Mysore saw the downfall of the Vijayanagara Empire, and the Wodeyar king captured this from the then viceroy Rangaraya of Vijayanagara king. This was in 1610 and celebrated the victory with 10 day festival and from that time the town was under the Mysore rulers Wodeyars and the sultans. The history of Srirangapatna will not be complete without mentioning Hyderali and Tipu Sultan. The town and fort was initially founded by the Ganga dynasty and improved and reinforced by Hyderali and Tip Sultan. Hyderali born on 7-12-1720 and had a proficient training in military art and was noticed by the then King Krishnaraja-2 Wodeyar of Mysore and was appointed in his employment. Hyderali by his ability rose steadily in the kingdom of Mysore and became the Dalwai (commander in chief) and was almost ruling the state by dominating over the weak Krishnaraja -2 and eventually took over the kingdom making the Raja a titular head and expanded the kingdom by annexing the parts of Maratha rulers and the Nizams. He stopped the British advancement from Madras. He had 2 battles with the British and almost came very near to Madras repelling the foreigners. He left the vast kingdom to his son Tipu. Hyderali was given the honorary titles Sultan Hyder Ali Khan and Hyderali Sahib. Hyderali made the Srirangapatna as the virtual capital of the Mysore Empire under his control. When ascended after Hyderali, he did not show the deference to the Wodeyar Maharaja and kept him as a captive and declared himself as the ruler and made Srirangapatna the capital of his kingdom. Tipu further expanded the kingdom. There were many battles during the expansion with the British indirectly as the area under Madras and Kerala were already under British control. Finally in 1799 battle of Srirangapatna the British killed Tipu within his fort. The State highway from Bengaluru to Mysuru is passing through Srirangapatna. There are number of buses from Mysuru, Mandya and Bangalore and other parts of Karnataka. There is a railway station and all trains other than Shatabdi stops here. Nearest major airport is Bengaluru. In most f the places other than temples entry fee per person between Rs 5 to 50 will be charged and there will be parking fee charges also. This is within the town. The temple is large one dedicated to Lord Ranganatha a manifestation of Lord Mahavishnu, one of the thrimurthis gods of Hindus. In this temple the lord is in lying pose on the Serpent Anantha coiled as if to form a bed (in Ananthasayanam pose). The lord looks benevolent with a beautiful smile on his face. As per the earliest available records this temple was built in the 9th Century by the rulers of Ganga Dynasty. Later the temple building was renovated and reinforced and hence has the influence of the Hoysala and Vijayanagar architectural influences. The main branch of the river Kaveri flows through behind the temple. The river is also auspicious and the lord also adds the divinity to the place. During the Sankranthi day there will be a function of Lakshadeepotsava. As the name suggests one lakh lamps will be lit. Only Hindus are allowed inside the temple. Sri Ranganathaswamy temple of Srirangapatna is a very important temple and especially to the followers of Vaishnava cult. It is one of the 108 Divyastalas (sacred and holy temples of lord Mahavishnu). It is also one of the Pancharanga Kshetras (5 temples of Sriranganathaswamy) the others being Sriranganathaswamy temple of Srirangam, Sarangapani temple of Kumbhakonam, Appakudathan temple of Trichy and the Parimala Ranganathaswamy temple of Myladuthurai. This is popular monument. This was built by a feudal lord. Later Tipu Sultan renovated modified and strengthened the same to suit his requirement. Hence it will look like mixture of a Hindu Muslim style. There is an inscription in Persian language on the gate in mentioning the year of build as 1537. Inside the fort there is a Lal Mahal which was the residence of Tipu Sultan who was the Ruler of Mysore. The fort has a 2 walls with a gap in between with water filed and crocodiles reared to discourage anybody to cross. There are 4 entrances one each on each side known as the Delhi, Bangalore, Mysore and elephants and water gates. There are two dungeons below the lower chambers of the fort. These were used by Tipu for jailing the British soldiers captured. 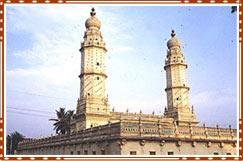 The famous Sri Ranganatha Swamy temple and a mosque is also situate inside the fort. The fort walls are having paintings depicting the victories of Tipu Sultan over the British and the British military storming into Srirangapatna by Sir Robert Ker. 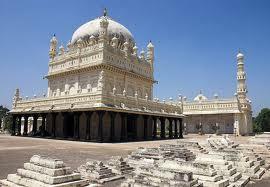 Tomb of Tipu Sultan can be found near to the Fort. Inside the fort there are 24 stone pillars with carvings of Lord Vishnu in 24 different forms which is a must to see. It is a brick and mortar structure of about 100 feet by 40 feet built and used by Tipu as a fortress to imprison his prisoners. In the underground walls of the prison there are hooks to chain the prisoners' hands. The British Colonel Bailey passed away in this place in 1780 A D hence the name Bailey's Dungeon. 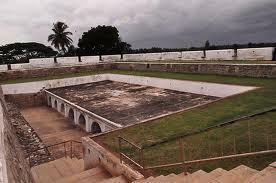 During the war at Srirangapatna fort cannon ball rolled back smashing the roof of the dungeon. The cannon can be seen the dungeon. 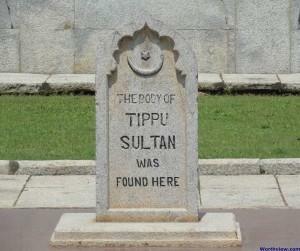 From the Bailey's dungeon about 220 yards there is another monument that of the Tipu Sultan. Tipu was killed in this spot by a British soldier who was trying to unsheathe the legendary sword of the Sulthan and the Sultan was trying to stop the British soldier. The commemorative monument is built on the spot of death is known as the Obelisk - a 4 sided long pillar like structure with the base wider than the top like a pyramid. This is in a small enclosure of chains fixed to posts. No one is allowed to step in the enclosed area. Ranganathittu is just outside Srirangapatna. After Srirangapatna on the road to Mysuru there is a road towards the right. This road leads to Ranganathittu a world famous bird sanctuary. It is like an island place in river Kaveri, a paradise for bird lovers. This is a place of nesting and breeding place for migratory water birds of so many verities like the herons, egrets, white ibis, cormorants, dantes, open billed stork etc. The area is spread around 60 acres and boats are available to go round. Since the place is used migratory birds only for their mating, nestling and breeding they may be seen only during June to October. This is the summer palace of Tipu built in 1784 with Teak wood. It is an A S I monument. This place id built as a picturesque palace with greeny carpet like lawns and flower beds and few trees. From outside major part of the palace is hidden and may appear to be a small structure. The interiors are beautifully arranged with rich paintings. The palace can be visited between 9 am to 5 pm. There is entry fee to go inside the place. Video cameras can be used by paying separate fee for the same. This Masjid – mosque is Tipu's mosque built by him. The mosque has a small dome and is painted white with tall towers. There is clock in the Masjid which is working since about a century. The mosque has the distinction of having the late imam Abdul Hafez having done prayers for 50 years without break. There is a Muslim religious school (Madrasa) functioning in this two storey building. The Sangam is the place where the Kaveri branches join together with another small tributary Loakpavani about 3 km from Srirangapatna beyond the Jumma Masjid and Dariya Daulat. Taking dip in Sangam is considered as sacred like a dip in the Ganges which will remove the sin of those who take a dip. The river flows from here to Tamilnadu and into their Mettur Dam. This is also a picnic spot. The Gumbaz is the burial pace of Tipu Sultan, Hyderali and Tipu's mother Begum Fatima. It is on raised platform. Around this burial place other tombs of Tipu's dead relations and other Muslim nobles are found. Inside of the Gumbaz the walls are painted with tiger like stripes a symbol like thing a favorite ting of Tipu Sulthan. The entrance door is decorated with ivory gifted by Lord Dalhousie. Next to the Gumbaz there is a Mosque and all around a very good garden giving a pleasing look. This is picnic spot 2 km from Gumbaz in the Ganjam village. There is a temple of Sri Kashi Visweswara Swamy near the river Kaveri near the Ghosai Ghat. Boating facility is available here. In this place there is a small Narasimhaswamy temple. From Srirangapatna one has to go to Pandavpura and take a left to reach the village. There is lake on the way and the same has to be passed to reach Kere Thonnur. The lake is named as moti talab by Tipu Sultan. This is a beautiful place with trees around the lake and round boats made like huge shallow bamboo baskets covered with water proof materials like animal skins or plastic sheets are available for ride in the lake. There are temples in this village built during the Chola period. As per the legend the Pandavas of the Mahabharata story are supposed to have stayed in this village for some time during their vanavasa (exile after failing in the dice game). 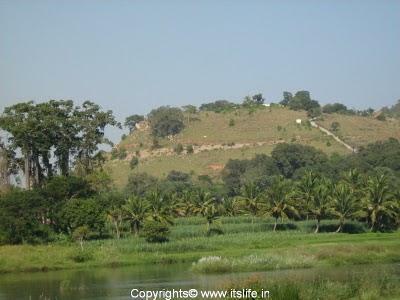 It is said that the Pandavas mother Kunthi used to spend her time near the hillock in this village. Due to their stay the village is named after the Pandavas. There are two rocky hillocks and during the British rule the village was known as the French Rocks. The village is surrounded by paddy fields and sugar cane fields. This is an artificial falls by creating a reservoir by building a dam across the Kaveri 11 kms from the Ranganathittu bird sanctuary and about 15 kms from Mysore. It is a small one so that people can play and take bath there. When the reservoir is full the water falls over the bund wall like a mini waterfall. 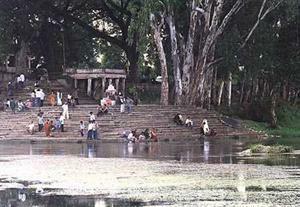 The place is developed as a picnic spot and a place to shoot films. Balmuri falls is a man-made reservoir which has been constructed across river Cauvery. It is not a huge waterfall but an ideal place for those who love to play in the water. Water will be there only for about 3 to 4 months from monsoon time that is during August to October. In the temple premises the Dharbe Hullu (tall sharp grass – eragrostis cynosuroides) is seen growing. This grass is used in all poojas / offerings of Hindus. For the presence of the grass in this area the legend is that Lord Mahavishnu in his incarnation of Varaha (human form with head of boar), shook his body and some of the hair fell in this place. These hairs were supposed to have grown as the grass. There is a reference to this hill in the Varaha Purana (a sacred old text of Hindu Purana). It is referred as Neelachal (Blue Mountain). It is presumed that by doing worship (pooja) in this temple, one can get relief from troubles and sufferings. This hill is supposed to have been used by the British to fire the canons from the hill during their siege of Srirangapatna. It is said that the hill got its name after a huge wild elephant, Kari which attacked and killed four girls taking bath. To bring them back to life Sage Kutsa muni undertook a rigorous penance and requested the Lord to save His devotees. The lord killed the elephant and the remains of the elephant is the hill and hence the name after the elephant Kari. One more legend is that when the vnara force was building bridge between Ramesram and Sri Lanka, they were bringing huge boulders and hillocks for the bridge. When Sugreeva the Vnara force captain was bringing this particular hill from the Thirupathi Thiru mala the Vaishnava Bhkatas pleaded with Sugreeva to leave the hill in this spot. He kept the hill there. This is a village of natural beauty and is a favorite picnic spot. This village is the hot spot for movie makers. They use this place to shoot the natural and forest scenes with the Kaveri flowing through the village for their pictures. 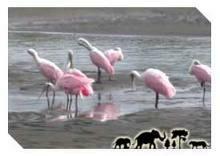 The best and famous Gende Hosahalli bird sanctuary is in this village. The village will give a totally different experience with no influence of the modern world. It is 8 km further from Karighatta hills and 13 kms away from Srirangapatna and from Mysuru also it can be reached the distance being 20 km. No food and shelter will be available here. This is a temple in Srirangapatna. One has to take little deviation to the left near to the Summer Palace of Tipu Sultan on the bank of the river papanasini a tributary of Kaveri. The temple's main deity is Nimishambha an incarnation of Goddess Parvathy. Nimishambha means the goddess who clears the problems and difficulties of the devotees in a Nimisha (minute). In front of the main idol of Nimishambha there is a stone Sri Chakra (a circular instrument similar to a cart wheel). A king by name Muktharaja is credited with the founding of this temple about 450 years back. Those who wish to do pooja here are advised to take lemon with them. While doing the pooja the lemon will be placed on the Sree Chakra and will be returned after the pooja. If it is taken home it is supposed to bring luck to the family. The lemon may be kept in the prayer room of the house and submerge the same in a stream or river after few days or else make juice out of the lemon and drink the same. In the temple premises there are sub shrines for Ganesh, Hanuman etc. From the town the place is about 2 km and buses, autos, taxis etc are available. The deviation road from the Summer palace road may not be in good condition, but the distance is short. It is a lake - reservoir formed out of the dam KRS dam. It is in Mandya District near to Srirangapatanam and Mysore. The dam is across the river Kaveri built in 1924 under the guidance of sir M Visweswaraiah. This reservoir is the source for drinking water to about 75 % of Bengaluru, Mysuru city and Mandya. It is also the irrigation source for Mysuru and Mandya Districts. This dam has the first automatic crest gates to outlet the excess water. 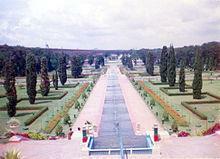 There is a beautiful and vast garden, the world famous Brindavan Garden. It has a section as show garden and a portion as Botanical Park. The park has fountains and musical fountain. More popularly known In short form as B R Hills, is the Holi place of Lord Venkataramana Swamy temple. The hills are about 5000 feet above sea level and are about 120 km long. The deity is also known as Biligiri Rangaswamy. Behind the temple there is platform like place to observe the places around. Very near to the temple is a wildlife sanctuary with wild animals like elephants, bison, deer, samba and many other species.